Simon Says Stamp: Anything Goes Challenge! Today's challenge is a fan favourite: Anything Goes! Submit whatever new creation you like! The Design Team is playing with goodies from October Afternoon and I used these Designer Brads from the 9 to 5 Collection for my card. I hope you'll join us in this week's challenge! Up for grabs is a $50 gift voucher for the Simon Says Stamp store thanks to sweet Heidi! For all the details and to see what the other designers have come up with go HERE. I hope you're all having a great week! 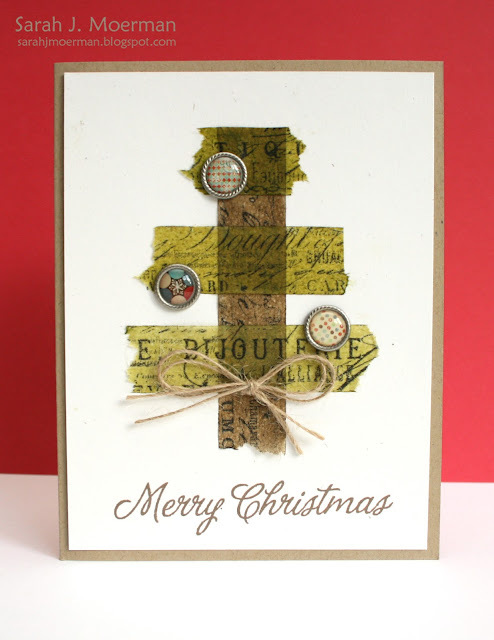 I'm back today to share a card for this week's Simon Says Stamp Challenge. This week's challenge is to Emboss It! Either heat or dry embossing will fit the bill. 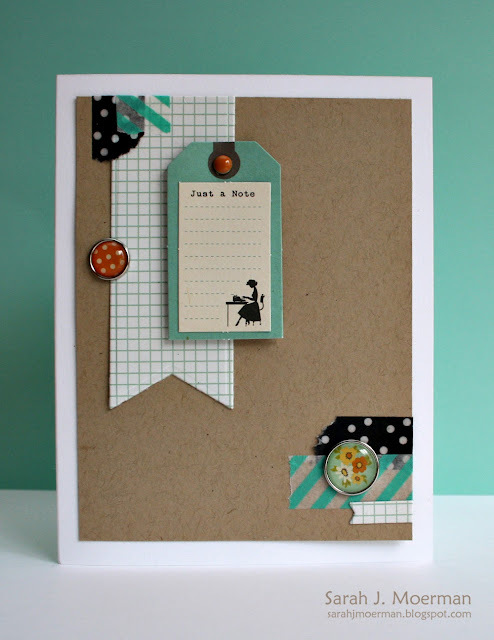 :) The design team is showcasing projects using Stampendous products. You may be scratching your head as to how this fits the embossing theme. Well, Julie Ebersole posted a video on the last Online Card Class called Stretch Your Stamps where she used Sticky Stuff embossing powder by Judikins to heat emboss glitter onto her stamped image. I knew right away I wanted to give this a try too. Here's how it works: Stamp your image with a good watermark ink and cover with the sticky embossing powder as you would any embossing powder. Heat it with your heat gun just enough to make the powder melt. (Over heating will harden or dry out the stickiness). Cover with glitter, gently pressing it onto the surface. Shake off the excess. Fun, eh? Wow... 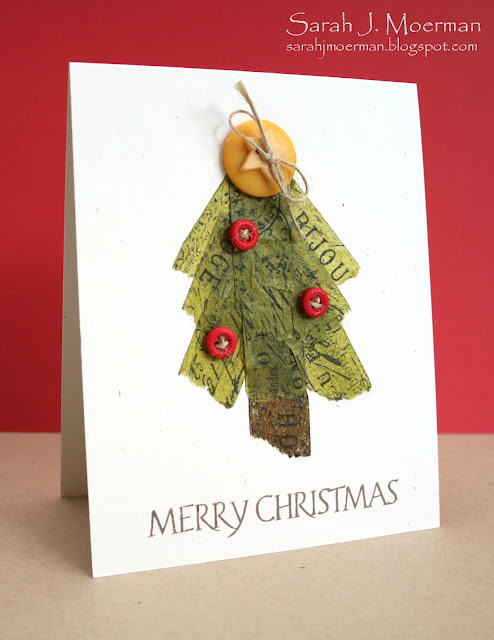 I love your tissue tape Christmas trees - this is the first project that's made me want to try out some festive cards! Congrats, Alison!! I've contacted you through you blog! Please send me your email addy so I can pass it on to Simon Says Stamp! 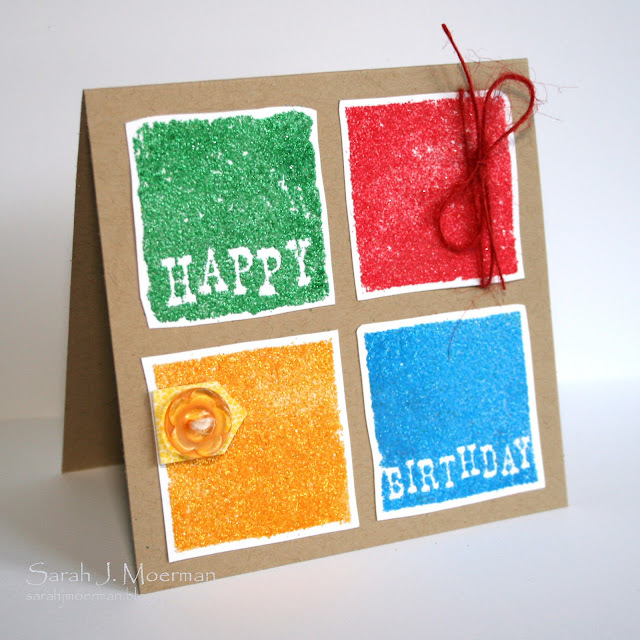 I'm back today with another Simon Says Stamp Challenge! Today's challenge is called "I'm So Trendy." Chevrons, hexagons, and neon are all big trends these days and so this week's challenge is to showcase at least one of these trends (or even all 3 if you like)! I hope you'll join us in this week's challenge! 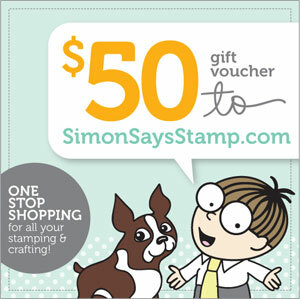 Up for grabs once again is a $50 gift voucher for the Simon Says Stamp online store. For all the details and to see what the other designers have come up with go HERE. Today's post is doing double duty. 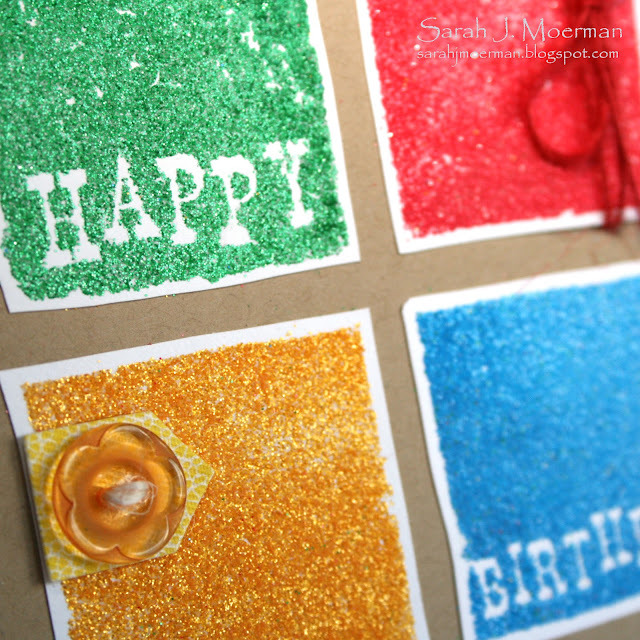 The Simon Says Stamp design team is taking part in a blog hop to celebrate STAMPtember! This post is also for the Simon Says Stamp weekly challenge which is to 'Put a Stamp on it!' (The design team is also incorporating washi/ decorative tape into their projects). If you haven't started at the beginning please go HERE. Simon Says Stamp was founded in 2002 with an interest in exclusively selling rubber stamps. It didn’t take long until we realized we couldn’t stop there. Over the past 10 years we've celebrated rubber stamping in its full glory by giving access to people around the world to a one stop shop. Rubber stamps still remain the heart of our business and we are celebrating by hosting a “STAMPtember” ™ event intended to inspire, educate, and celebrate the greatness of rubber stamping. Part of the enticement of rubber stamping is that stamps can be used in creating or complementing ANYTHING! From stamping dates on bank documents and postage parcels in the early 18th century, rubber stamping has dramatically expanded to include card making, scrapbooking, mixed media and many forms of altering and expressing art. Please hop to my teammates' blogs. Each of them has a special handmade work of art to share with you and also more prizes along the way! Enter the "Put a STAMP On It!" Challenge and be sure to put a STAMP on it and you could be the lucky winner of our GRAND PRIZE $100 Simon Shopping Spree! Just a reminder that the hop starts HERE. If you encounter a broken link, you can go back to the beginning with links to everyone who is participating in the hop. 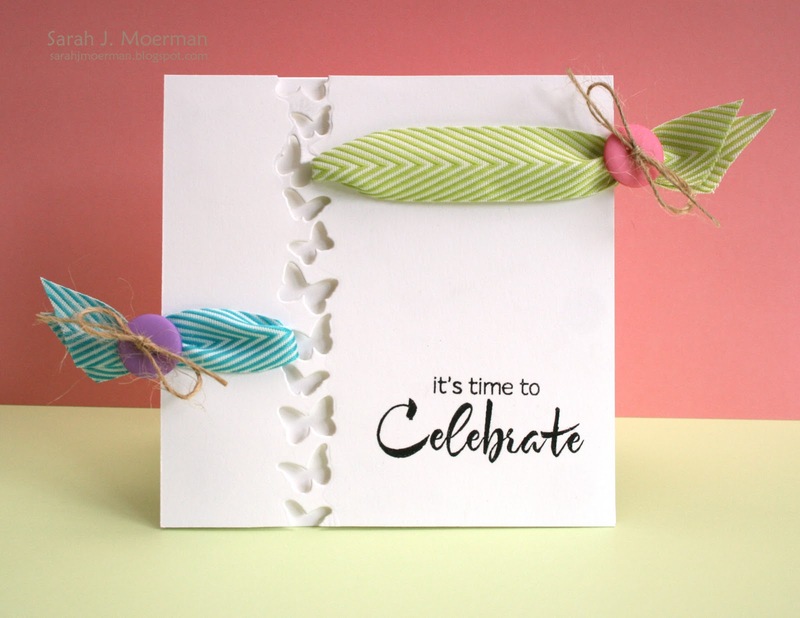 Your final stop is the Simon Says Stamp Challenge blog. Happy September!!! Popping in with a quick post to share a card I have published in the Paper Crafts September/ October 2012 issue.